There is nothing nicer than having a striking healthy lawn in your garden. But for most people it can be hard to maintain. Whether you are a business with an outside plot to keep looking attractive or a homeowner our gardening experts are here to help. Our lawn care services are the best in the area and can help in all predicaments. 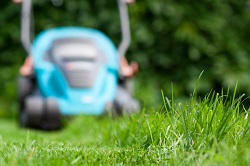 If your grass is looking dry, brown and withered hire our lawn maintenance team to get in back in a health condition. A perfect green lawn is a useful space to enjoy with the children and pets, or simply place attractive garden furniture on when the weather is warm and sunny. Grass needs a certain amount of care and attention, but once you have it under control regular grass cutting can more or less keep it in good shape with the occasional feed and weed service. Our gardening experts are on hand to help get your lawn back in shape for the summer. Our gardeners London are fully trained at dealing with all of your lawn care dilemmas. Hire Landscaping Services London now and discuss your problems. Our pleasant and supportive office staff is here to help. Call us now and book a meeting 020 8610 9127. Grass comes in all shapes and sizes and doesn’t have to be boring. You can make it look an impressive focal point in whatever size garden you have. Even a small garden can benefit for a grassy area. There are many different types of grass to suit all types of needs. Hardwearing to delicate we can plant them all. If you want a lawn mowing service on a regular basis we are here to help. Do you want a new lawn planting and tending to? Or has your grass been neglected and you want it bringing back to life? 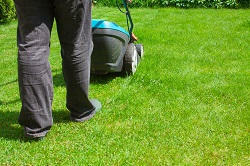 Our gardening experts are highly trained and know all there is about lawn care and maintenance. Our services are affordable. Nothing is too much for us. You can trust us to get you the most striking green grass that will complement your outdoors area. Why not check out our informative website and read all about our gardening services. Or contact us now 020 8610 9127. You can organise a meeting with our gardening consultant and ask more about how to have either a lawn planted or restore what you have. We supply all the advice and support you require. Hire our gardeners for the best lawn care in the area. We are an established garden care company London with plenty of knowledge and experience. Our trained gardeners are polite and competent so you can trust us completely. We are flexible and can arrange a booking to suit your calendar. We are on hand to help when you have a problem. You can rest assured that we only use the best methods to restore your lawn. We only use eco friendly products, so you can rest assured there will be no harmful chemicals. Safety and health is our number one concern. We follow all of the necessary procedures using the latest tools and equipment that are service frequently. Hire us now Landscaping Services London and get your grass back in shape. We offer numerous other services as well as being the lawn care specialists. All of our services are affordable and within your means. You can trust us to do a first class job in your garden. For more about our reliable services, costs and making an appointment call us 020 8610 9127. Copyright © 2013 - 2015 Landscaping Services London. All Rights Reserved. Description: Looking for landscaping on a budget in London or need reliable landscaping gardeners who can transform your green space? Call us up today on 020 8610 9127!